The April Brimbles Box was an absolute delight to unbox and take in all of the wonderful stickers and planner pieces that Anna provided. 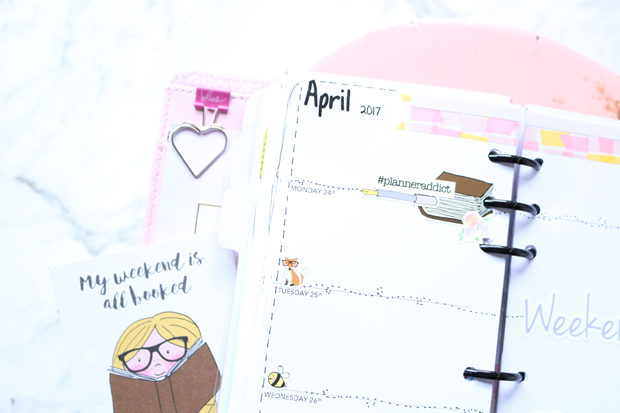 It made it super easy to create a calm, beautiful planner layout that will inspire me during the week. 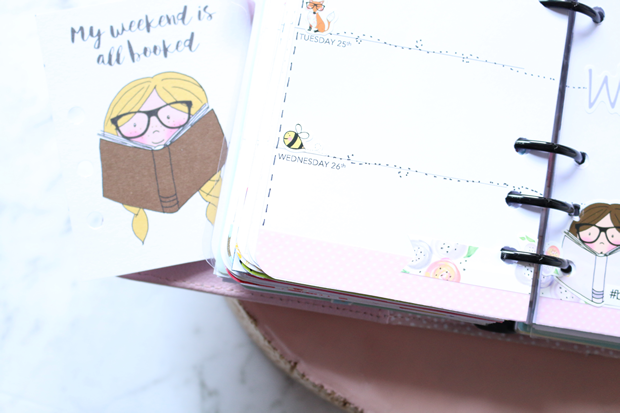 I love the versatility of all the items in this month's box, because not only does it tie in with the Camb's Planner Con (I hope those of you going have a marvellous time! ), but it speaks to me about ALL of my interests - from planning to reading and just generally loving very cute things. Don't forget, when you're planning your layouts - don't worry about what other people are doing, or what's 'on trend'. 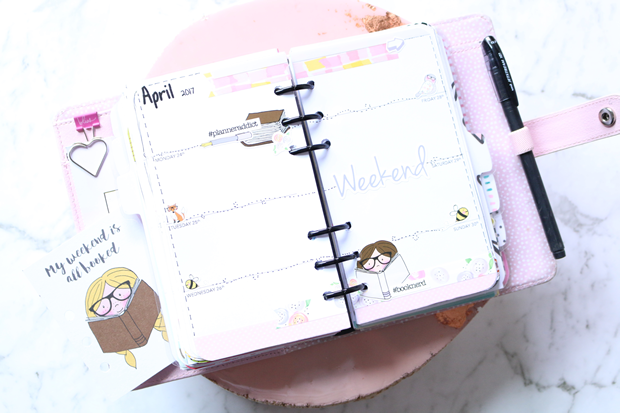 Your planner/journal/etc are YOUR space. You fill it with things that you love and don't ever doubt your ability to create something that speaks to you. Use as much or as little as you like and celebrate your creativity! As always, if you would like further inspiration, you can follow me on Instagram or Youtube! 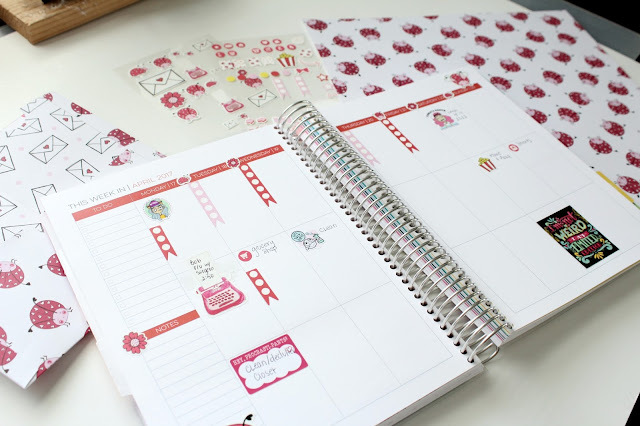 Most people who are into planning or even crafting may own a die cutting machine but even if you do not you can make some planner stickers yourself to save money with just using your printer and a pair of scissors. I will share with you several sites that you can get free printable stickers and there are also loads on Etsy that can be purchased really reasonable. 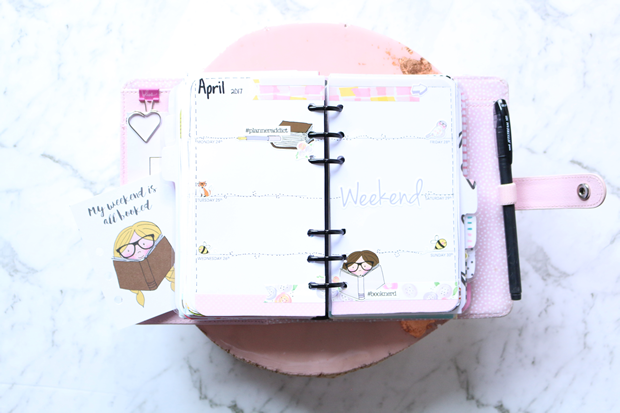 So that if you want to decorate your planner you can on a budget. Sometimes you just don't want to take the time to create a set of stickers from scratch so these are also nice to get started quicker. 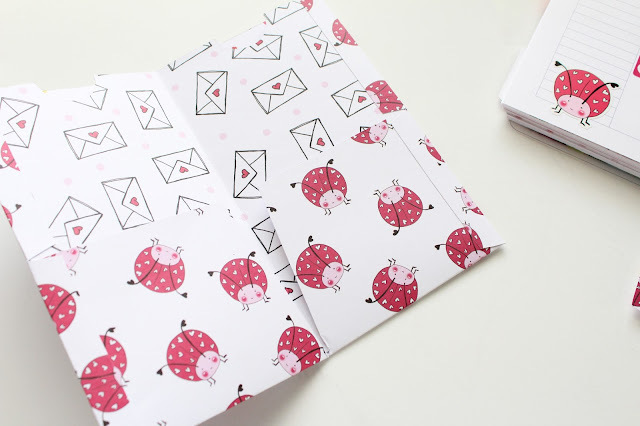 I will also link several different places to purchase sticker paper that range in prices and also different materials such as matte, glossy or reposition able. 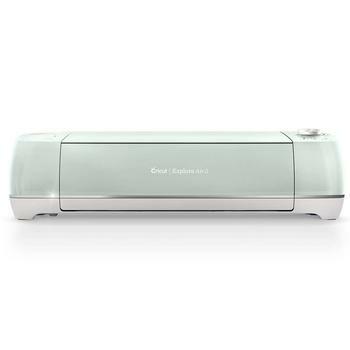 First we will talk about printable sites. Here is a list of the ones I have found and like a lot. Here is a few of the low cost planner printable and some not all will even include a silhouette file. 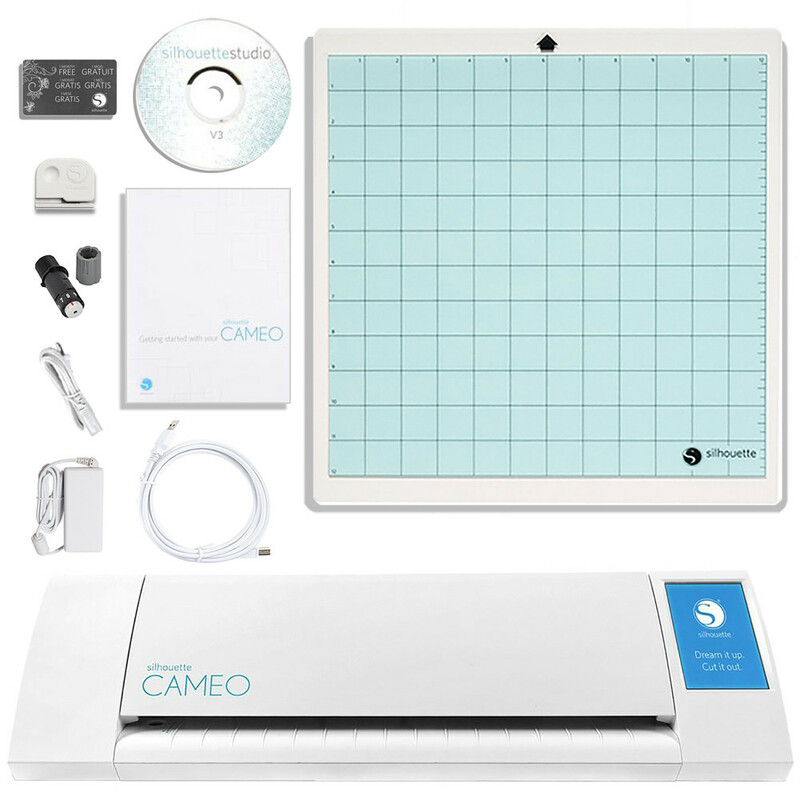 Most don't but if you are manual cutting with scissors that is not important but for those with silhouette machines it is nice. I personally shop ONLINELABELS.COM for mine. 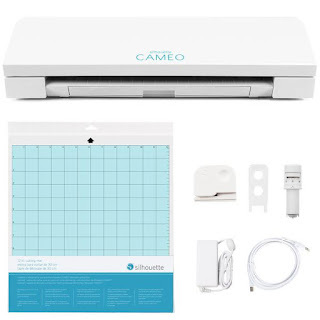 They have an array of shapes if you want to create your own and have them fit in the templates so you wouldn't even have to use a cutter or scissors but I buy full sheets with no slits in the back either. I buy the matte reposition-able which are a bit more pricey because they can be removed easily and relocated. They run about $29.95 for 100. 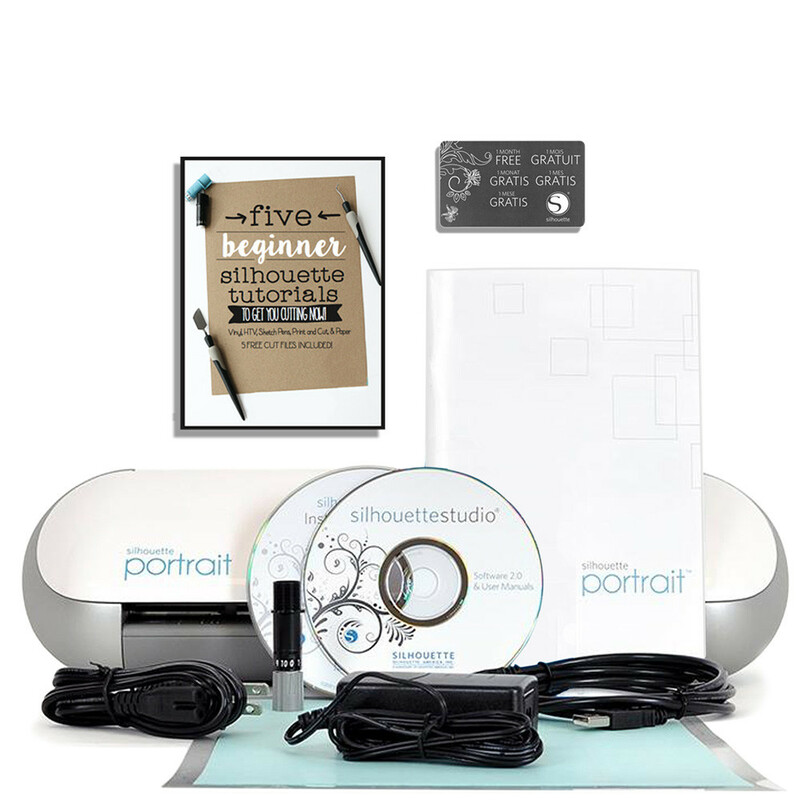 They have matte, glossy, reposition-able and loads of shapes and template software. They have some matte stickers that are not reposition-able that are a low cost of $12.95 for 100. Shipping runs about $5-6 so this is something I try to avoid but for selling I do go with this site because I want the quality they offer. If you do not own a die cutting machine but would like to buy one and want to get in as cheaply as possible and you really just want to cut stickers I would suggest the Silhouette portrait. I am in the US so these links will all be US companies but most offer international shipping, this site offers a lot of bundles as well which is nice to get some extra's with your machine. 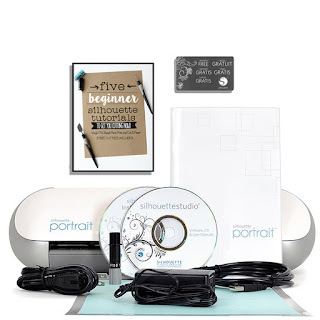 Portrait: Swing Design offers a lot of bundles start at $145 and up depending on what bundle and of course what is most important to you in your bundle. Your limited to nothing bigger than 9" wide to fit in this machine but it is perfect for doing stickers. Hopefully this helps in your decision making if you are looking to buy a machine. Once you get familiar with the sizing of the items and what you use a lot maybe you will want to customize some for yourself you can do this with several common programs that you probably have on your computer. Go wild and make some of your own once you have some time. That is one of my goals. 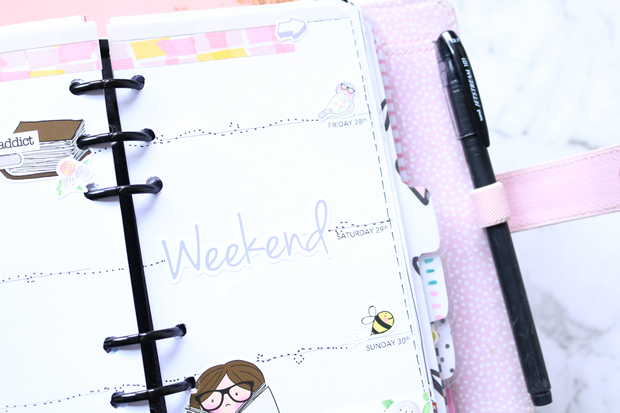 But at least when we don't have time we have plenty of free or reasonable options to jazz up our planners. Now here is a spread I made with goodies from the Brimbles Box. I hope you grabbed yourself a Brimbles box. This one was equally as cute as always. I loved these lady bugs. I just am getting started for a few weeks down the road so it is not at all close to finished. I also will show you another Travelers notebook pocket folder I made. I am obsessed with these! It's taken me a while to write this post. Strange way to start a blog I know but hear me out. It's a positive statement. It's taken me a while because every time I thought I'd finished and was ready to write, I'd create something else! It's so easy to play with the Brimbles kits. I find I mix and match with previous kits all the time. 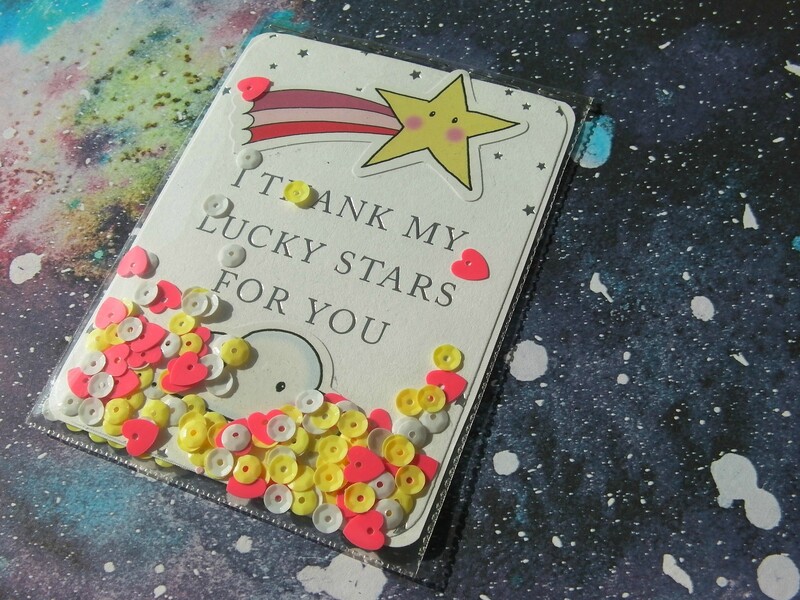 I used to scatter kits into my craft stash but recently I've been trying to gather them back together. Mainly because it's nice to have them and as mentioned I find it easy to mix them. what was in the kit? First of all, I want to say how much I loved the mixed media print that appeared throughout this kit. It's so beautiful! I love cosmic style artwork. My favourite element of this kit was the 12x12 papers. When Anna showed us the sneak peeks I couldn't wait to get my hands on them! Then I was hoarding, having a precious moment scared to use them, THEN as I had to write a blog, got over it and...sliced up the papers! I now want more to replace them! 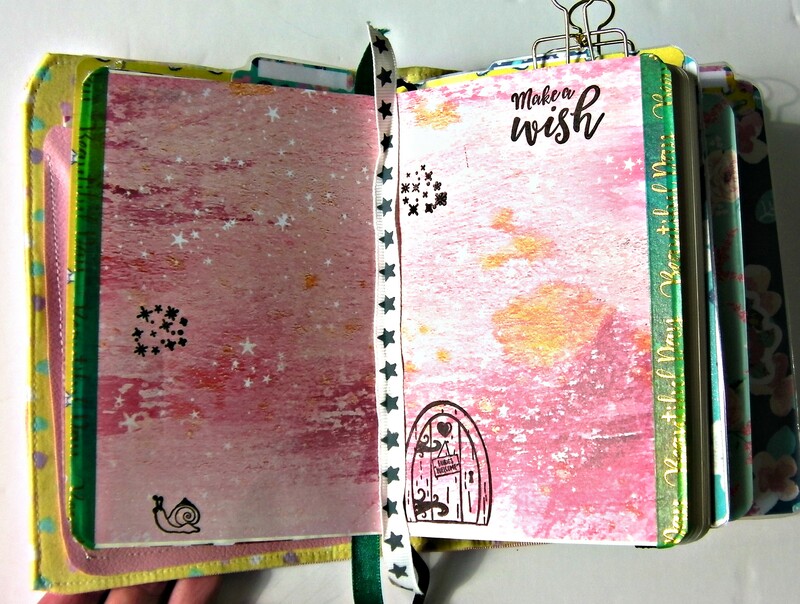 The first thing I did with the kit was create an art journal layout. I have water colour pastels from Hobbycraft and knew these would be perfect for creating a background. I prep the page with white gesso and once dried, draw and smudge the pastels over it. The page itself has a mixture of blue, purple and pink. I love how they blend together. 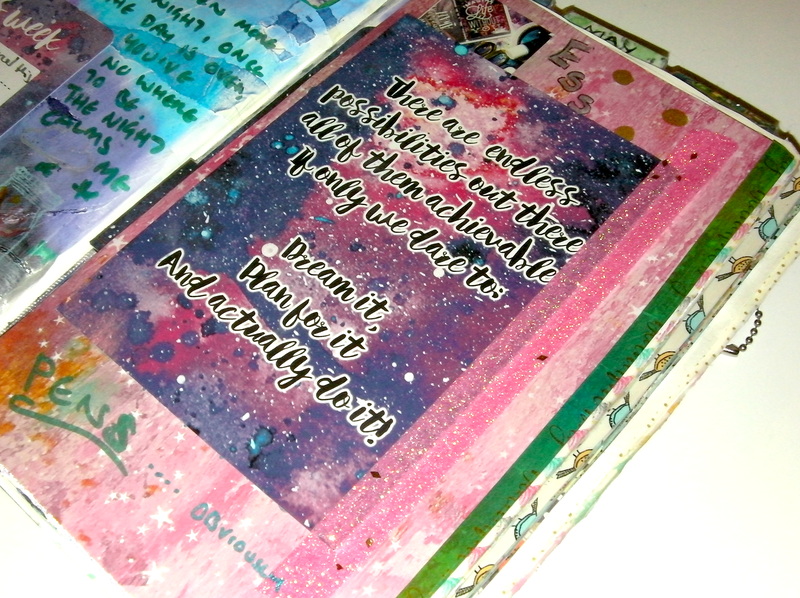 I dedicated the page to creativity and dreams. I loved using all elements of the kit on this page. I used the large page flags as a header for a section, it stands out lovely against the pink scrapbook paper. I created pockets again, I love a pocket! It holds the journal cards that came with the kit (as a 12 x 12). 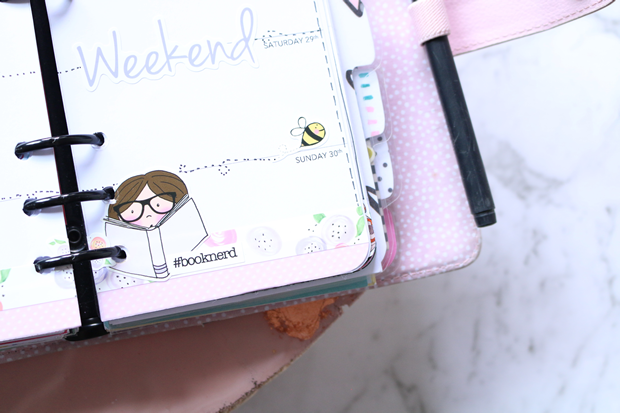 I've loved blending the scrapbook paper and journal cards with the stamps, they look so cute! 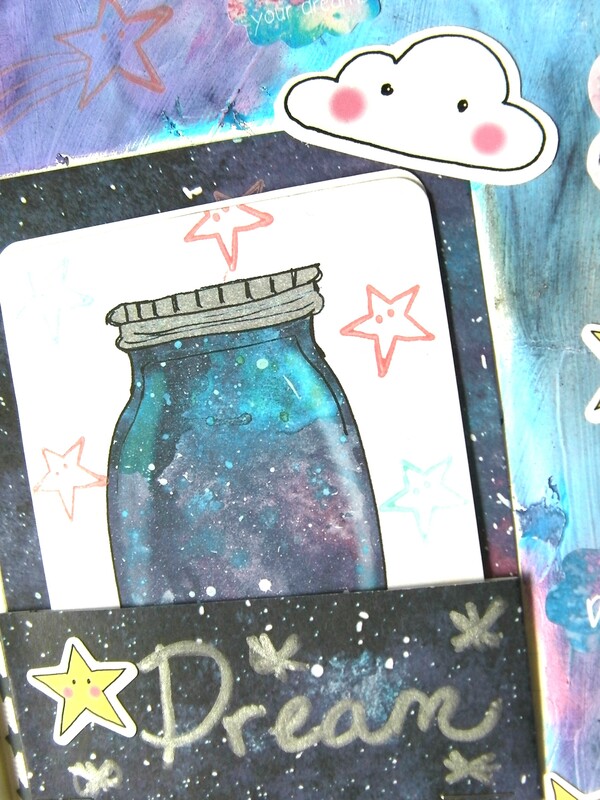 There was a jar design stamp with this kit, there's something about jars in artwork that I love. It will be used over and over in my art journals. I also love the washi in this kit. I know the boxes varied with washi, my kit had green washi with gold lettering. I wouldn't have paired it with the kit but it actually works really well. I like how it stands out against the darker colours. 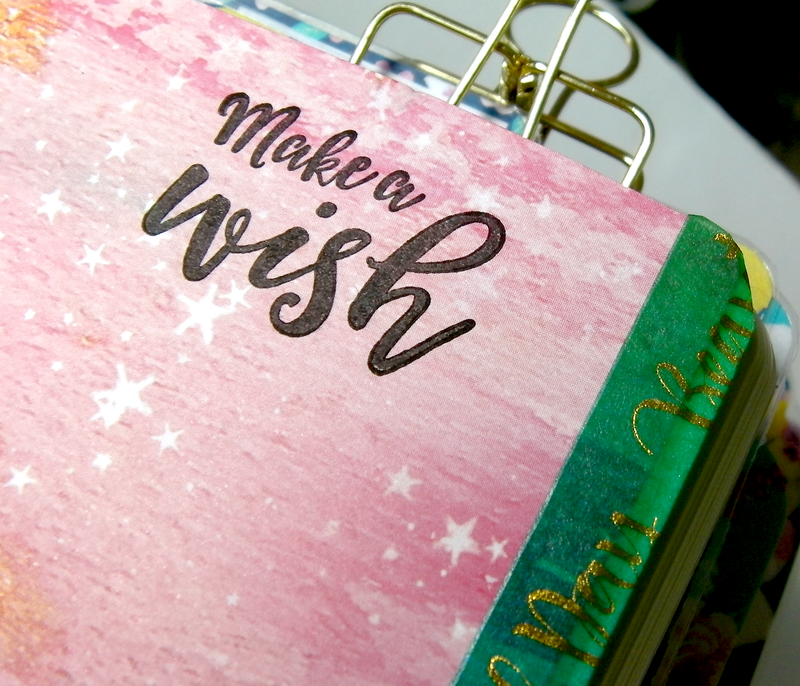 It's now one of my favourite washi tapes! I then had bits and pieces I wanted to play with. 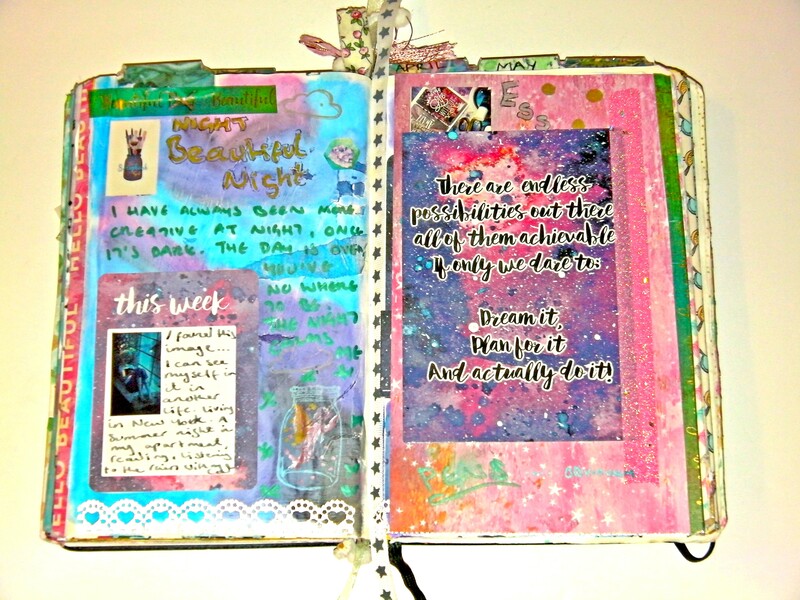 My art journal pictured above is an A5 journal from Paperchase. I also have another in A6. 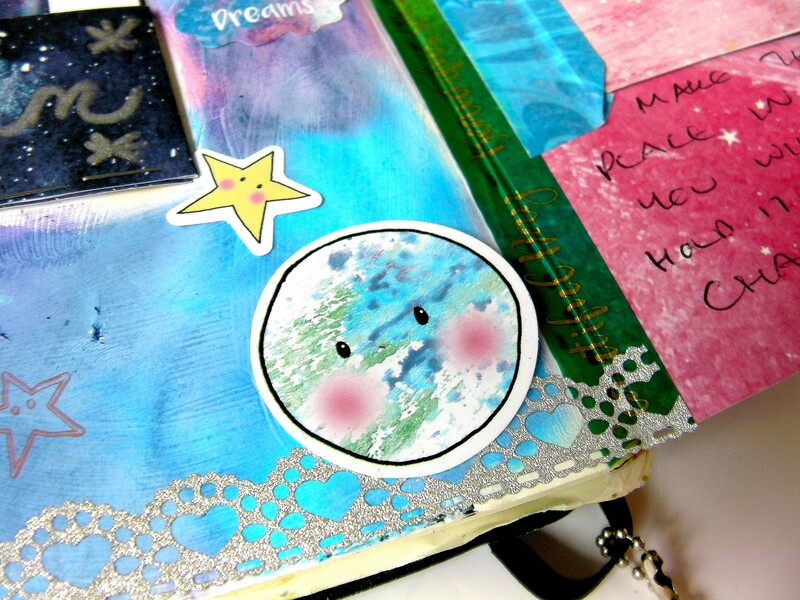 This lives in my A6 traveller's notebook and has become a mini art journal. It was originally bought as a planner but it wasn't being used. 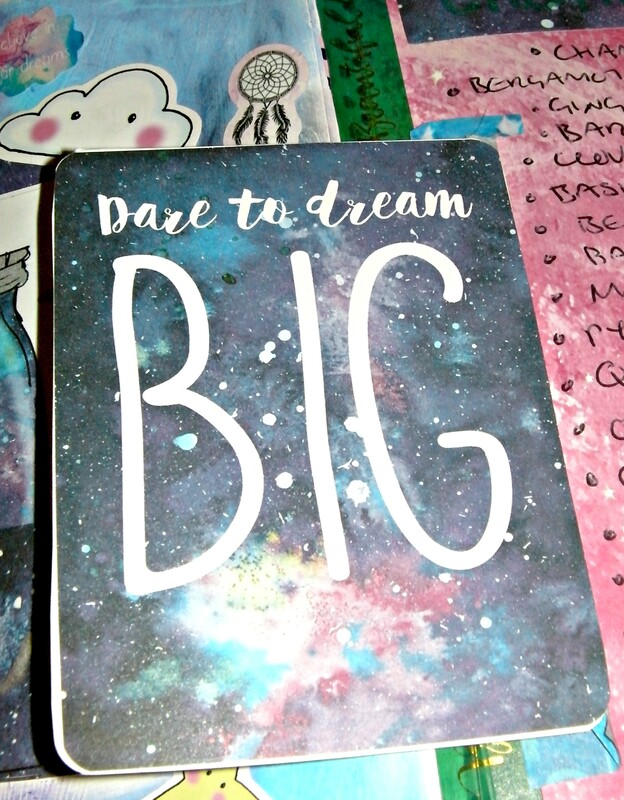 So I decided to change it to a portable art journal. I had a spare bit of scrapbook paper left over and just happened to place it across a double page spread in the A6. I loved how it looked so decided to stick it in as a background. I then secured the edges with the washi. 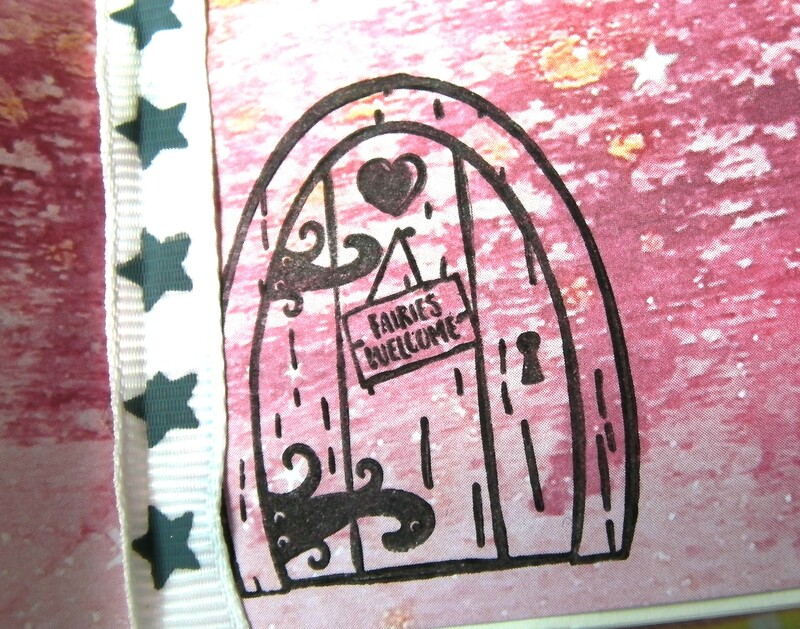 I decided to use a different set of stamps on this page, I recently got a set of fairytale stamps from a craft magazine and wanted to use these. At the moment the page is minimal, I'm waiting to see if I want to do any more with it. So that's everything I have created so far with the March kit, I have LOVED using it.